How to get the most life out of your trees? Home » How to get the most life out of your trees? Trees are seen as one of nature’s most beautiful and perfect creations. For years they manage to sustain themselves through the harshest of weathers, and they also provide lots oflife support for other living organisms. Humankind has Fruit bearing trees, which serve us well along withthe animals and birds whichlive in or around them. When you get large, leaf-filledtrees,they are a respite for those long dry summer months where they can provide shade and help to keep temperatures down. Much of this is trees in the wild, and when you have trees in Las Vegas, they might not be as hardy or capable of looking after themselves, as we would hope. Many individuals have them in their yards for their natural beauty, and they are a great addition to your property. 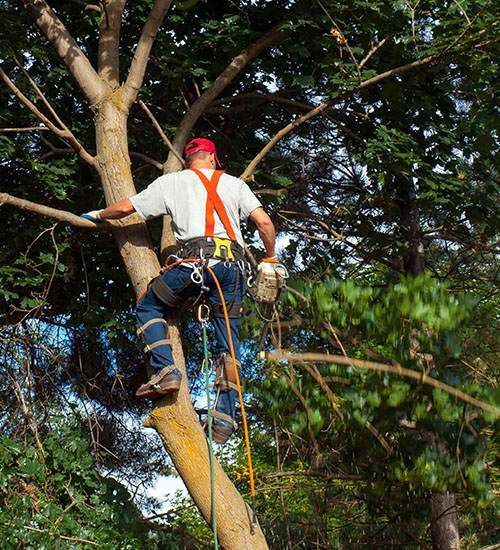 Tree pruning includes the removal of broken, diseased or dead branches from both young and mature trees. The effect of this is double-edged and can encourage new growth while making your trees safe for your property and your family. Fungi and other diseases can be stopped by removing these unwanted branches and dead parts before they decay and cause further problems. This is a little different to pruning, and is performed on a regular basis on younger trees to enforce their integrity. They grow stronger and more balanced and will have less chance of branches, which become a hazard to families or properties.It is also beneficial for more mature trees,which have lost their form and are growing out of balance. Different types of tree require different types of fertilizer. There is also the ground in which they stand because this can have a significant bearing also. Las Vegas Tree Removal Pros know all the soil types and how they affect the different trees in the Las Vegas region. Adding fertilizer needs to carried out at the correct time, and adding too much can harm a tree as much as not receiving enough. Pests can be a nuisance for any tree owner, and they can have an effect on the longevity of how long your trees can last for. We have professionals who are well versed in pest control, and how to deal with the situation without harming your trees. There are also larger animals if you live on the outskirts of Las Vegas, which can play havoc with smaller trees. We can offer advice on how best to protect your trees, so they have the chance to live a long and happy life.